Cleaning your home can easily fall to the bottom of your priority list when maintaining a busy lifestyle in West London. Let One-Off Cleaning take care of the hassle for you. 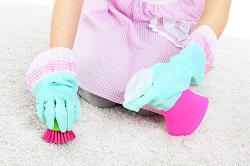 Our team of professionals offers a one off cleaning service that will leave your home sparkling. With the use of the most up- to- date cleaning equipment, we will leave no nook or cranny untouched, so you can rest assured that your home is clean and free from bacteria. Our professional skills are employed in an efficient manner, which enables our one off clean team to leave your home intensely clean. As a professional cleaning company, we are unbeatable for results of the cleanliness we deliver, and we’re unbeaten on price, too! If you are interested and are aware that your home would benefit from our one off cleaning service, book your home a one off cleaning service today by calling on 020 3397 3282. West London is possibly the most well connected area of London due to the fact it is such a short distance away from Heathrow airport. Besides, it is within very easy reach of central London and other areas of the UK via train. For this reason, it is exceptionally well populated with tourists as well as working travellers who settle in the area. West London is made up of many villages, towns and suburbs. Some of these include: Ealing, Brentford, Hillingdon and Hounslow which are highly populated. West London is home to its very own university with students from different areas all over the UK. 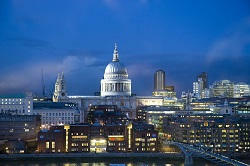 There are many other attractions in this area of London, such as museums, galleries and even a brewery. These attractions, along with a variety of places to eat and stay, are some of the reasons why so many people choose to stay in the area. At One-Off Cleaning we work as a team to ensure that our cleaning services meet the highest standards to provide you with an immaculate result. To reach our full potential, we combine our professional skills by the use of the most efficient and effective cleaning methods. We use only eco-friendly and gentle detergents all of which are safe for the environment and more importantly, will cause no harm or irritation to even the most vulnerable members of your family. By booking a one off cleaning service, you give your home in West London a deep, intense clean – not just a quick dust around the visible surfaces. Our team of professionals focus on cleaning every area of your home to the highest standard, leaving you with only a quick job when it comes to cleaning your home yourself next time around. So, why not save yourself some extra time and effort and let us do the dirty work for you? Whether you’re preparing for a party in your home and want it to be spotless, or your tenancy is due to end and you want to please your landlord on your departure, we have exactly what you need! For a small fee, our one off cleaning service will leave your home in West London in such a clean state that you’ll barely recognise it! Call us today on 020 3397 3282 to receive a free quote or to book our services. You won’t regret it!